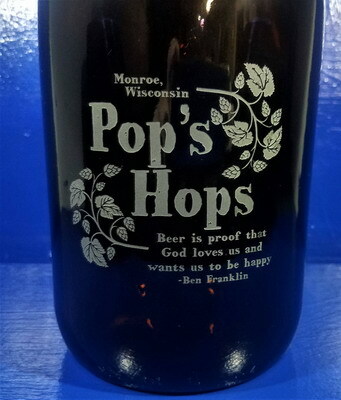 The Personalized Custom 32 ounce Glass Amber Beer Half Growler makes a great gift for groomsman, home brewers, craft brewers or for your home bar. The photos above show examples of my work, you can have anything you like on it. 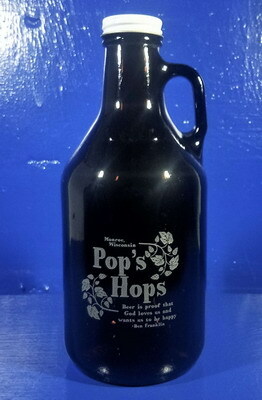 It can be engraved with text, design, logo, pretty much anything you want! 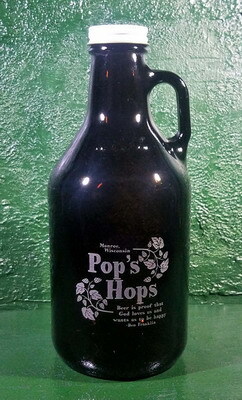 The Growler comes with a twist-off metal cap with a rubber liner for a tight seal. It is 9 inches tall. 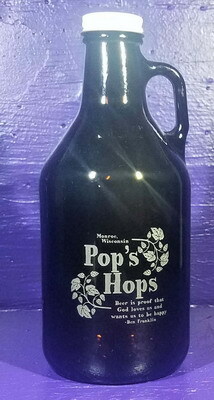 Personalization, text and/or design, on the front of the engraved Growler is free, other options are available for an additional fee. We suggest keeping your text to 6 lines of 25 characters per line, it is okay to go over, it may just be smaller to fit it on the glass.